An entire ROS Development Studio in your browser. Launch your robot in less than one minute and manage everything through a simple, flexible interface. No installation required! You can program any ROS-based robots, from an extensive robot library. 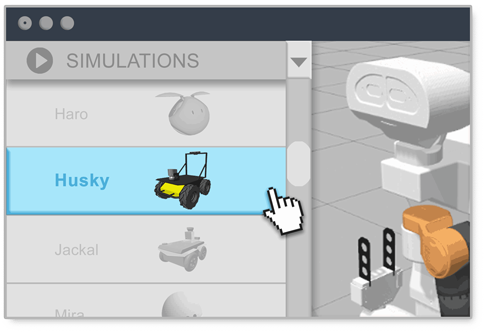 Program and test your robot in real-time using the provided simulations. Program and test your robot using an integrated interface. 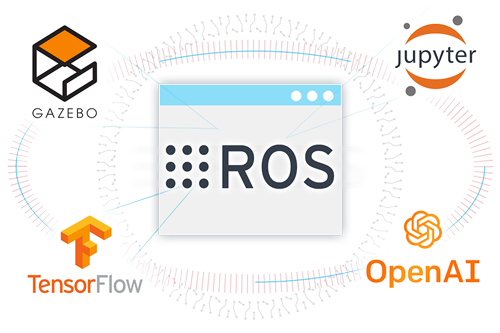 All your typical ROS tools on a single web interface. Ready to use ROS installation, Gazebo simulator, Cloud9 IDE, Linux Shells, Jupyter notebooks, TensorFlow Board, OpenAI libraries, Rviz. Evaluating multiple parameters in your RL training? ROSDS makes automated testing faster and easier than ever. Use multiple computers to parallelize your search with just a config file. You robotics results can be shared and reproduced on any computer without requiring installation of anything. Choose from +2500 public ROS projects. You can copy to your area, start practicing and improving. Test what you have developed online into the real robot. 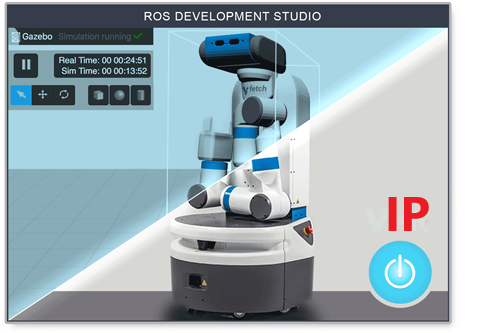 Connect the ROSDS to the real robot through IP and run your code. 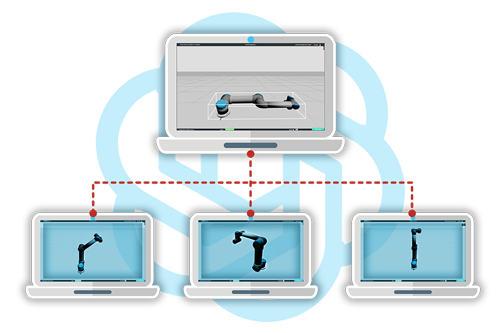 ROSDS helps you build, test, and deploy your robots – All in one place. Start Developing For Your Robot Now! 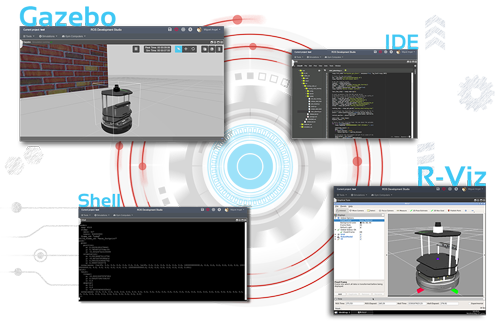 To help developers getting started, ROSDS contains extensive Documentation and a large set of samples and tutorials that illustrate how to program and test your robots. Also you can explore more about ROS using Robot Ignite academy. 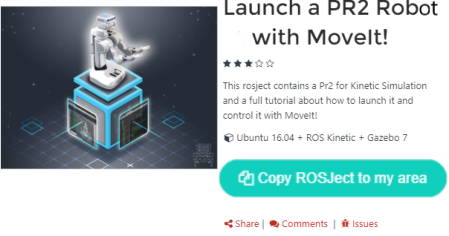 Tutorials, projects, and more to get you started with latest tech trend in ROS ecosystem. A great tool that allows immediate productivity in any browser, at the click of a button, with zero overhead. Highly recommended.